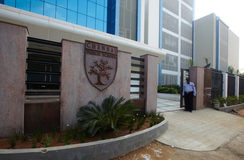 Find below the list of top CISCE / ICSE schools in Purasawalkam - Chennai with phone number, address, 360° School tours, 2018-19 Admission forms & Fees, photos, facilities & more. The Bhavan believes thatthere are elements in all cultures which transcends all barriers and knits people together. We commit to facilitate value and skill based, integrated education, to inculcate a sound physical, intellectual, emotional, social and spiritual character in our students, so as to shape the destiny of mankind. Quality In Education is our motto, students are encouraged to perform to their full capacity by giving them thorough training in the field they choose. Your child? training decency and good manners will be further nurtured throught appropriate role models, specific teaching and correction. 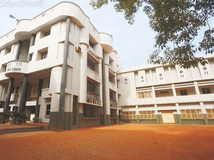 Alagappa Matriculation School is located in Purasawalkam, Chennai. It was established in 1954. This school follows the State board. The school has English medium. 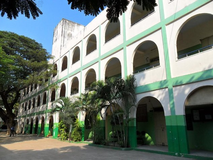 C.S.I Ewart Marticulation Higher Secondary School is a private Christian school founded in 1913 in Chennai, India. 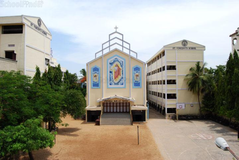 It gained matriculation status in 1945, and is managed by the Church of South India, Madras Diocese. 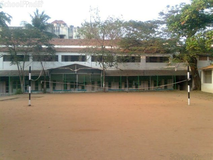 The school mainly serves the communities of Purasawalkam, Vepery, Egmore, Kilpauk, Perambur, Sowcarpet. Ewart is fully accredited and is a member of the State School association. The classrooms are co-educational until 5th standard after which they become girls only. 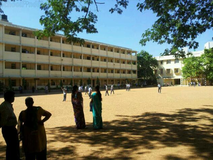 Dhanish Matriculation Higher Secondary School is located in Kolathur, Chennai. It was established in 1989. This school follows the State board. The school has English medium. Although there are many top CISCE / ICSE schools in Purasawalkam - Chennai it is not necessary that each one is suited to your child's needs. That is why you need to analyze and consider every factor about the best CISCE / ICSE schools in Purasawalkam - Chennai before settling for one. 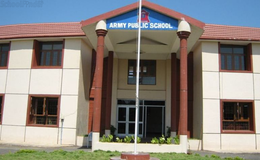 Sqoolz's list of best CISCE / ICSE schools in Purasawalkam - Chennai makes this job easier for you. Find every detail that is necessary before choosing the right school. You can also take our virtual tour, a feature solely designed to give parents a sense of assurance.